Chapter 113A - Pollution Control and Environment. Article 1 - Environmental Policy Act. § 113A-3. Declaration of State environmental policy. § 113A-4. Cooperation of agencies; reports; availability of information. § 113A-5. Review of agency actions involving major adverse changes or conflicts. § 113A-6. Conformity of administrative procedures to State environmental policy. § 113A-7. Other statutory obligations of agencies. § 113A-8. Major development projects. § 113A-8.1. Surface water transfers. § 113A-11. Adoption of rules. § 113A-12. Environmental document not required in certain cases. § 113A-13. Administrative and judicial review. §§ 113A-14 through 113A-20. Reserved for future codification purposes. Article 2 - Interstate Environmental Compact. § 113A-24: Reserved for future codification purposes. §§ 113A-24 through 113A-29. Reserved for future codification purposes. § 113A-25: Reserved for future codification purposes. § 113A-26: Reserved for future codification purposes. § 113A-27: Reserved for future codification purposes. § 113A-28: Reserved for future codification purposes. § 113A-29: Reserved for future codification purposes. Article 3 - Natural and Scenic Rivers System. § 113A-30: Recodified as G.S. 143B-135.140 by Session Laws 2015-241, s. 14.30(f), effective July 1, 2015. § 113A-31: Recodified as G.S. 143B-135.142 by Session Laws 2015-241, s. 14.30(f), effective July 1, 2015. § 113A-32: Recodified as G.S. 143B-135.144 by Session Laws 2015-241, s. 14.30(f), effective July 1, 2015. § 113A-33: Recodified as G.S. 143B-135.146 by Session Laws 2015-241, s. 14.30(f), effective July 1, 2015. § 113A-34: Recodified as G.S. 143B-135.148 by Session Laws 2015-241, s. 14.30(f), effective July 1, 2015. § 113A-35: Recodified as G.S. 143B-135.150 by Session Laws 2015-241, s. 14.30(f), effective July 1, 2015. § 113A-35.1: Recodified as G.S. 143B-135.152 by Session Laws 2015-241, s. 14.30(f), effective July 1, 2015. § 113A-35.2: Recodified as G.S. 143B-135.154 by Session Laws 2015-241, s. 14.30(f), effective July 1, 2015. § 113A-36: Recodified as G.S. 143B-135.156 by Session Laws 2015-241, s. 14.30(f), effective July 1, 2015. § 113A-37: Recodified as G.S. 143B-135.158 by Session Laws 2015-241, s. 14.30(f), effective July 1, 2015. § 113A-38: Recodified as G.S. 143B-135.160 by Session Laws 2015-241, s. 14.30(f), effective July 1, 2015. § 113A-39: Recodified as G.S. 143B-135.162 by Session Laws 2015-241, s. 14.30(f), effective July 1, 2015. § 113A-40: Recodified as G.S. 143B-135.164 by Session Laws 2015-241, s. 14.30(f), effective July 1, 2015. § 113A-41: Recodified as G.S. 143B-135.166 by Session Laws 2015-241, s. 14.30(f), effective July 1, 2015. § 113A-42: Recodified as G.S. 143B-135.168 by Session Laws 2015-241, s. 14.30(f), effective July 1, 2015. § 113A-43: Recodified as G.S. 143B-135.170 by Session Laws 2015-241, s. 14.30(f), effective July 1, 2015. § 113A-44: Recodified as G.S. 143B-135.172 by Session Laws 2015-241, s. 14.30(f), effective July 1, 2015. §§ 113A-45 through 113A-49. Reserved for future codification purposes. Article 4 - Sedimentation Pollution Control Act of 1973. § 113A-52.01. Applicability of this Article. § 113A-52.1. Forest Practice Guidelines. § 113A-53. Repealed by Session Laws 1973, c. 1262, s. 41. § 113A-54. Powers and duties of the Commission. § 113A-54.1. Approval of erosion control plans. § 113A-55. Authority of the Secretary. § 113A-56. Jurisdiction of the Commission. § 113A-57. Mandatory standards for land-disturbing activity. § 113A-58. Enforcement authority of the Commission. § 113A-60. Local erosion and sedimentation control programs. § 113A-61. Local approval of erosion and sedimentation control plans. § 113A-61.1. Inspection of land-disturbing activity; notice of violation. § 113A-62. Cooperation with the United States. § 113A-63. Financial and other assistance. § 113A-64.1. Restoration of areas affected by failure to comply. § 113A-64.2. Remission of civil penalties. § 113A-68: Reserved for future codification purposes. § 113A-69: Reserved for future codification purposes. Article 4A - Vehicular Surface Areas. §§ 113A-70, 113A-71: Repealed by Session Laws 2013-413, s. 54. For effective date of repeal, see editor's note.  Article 5 - North Carolina Appalachian Trails System Act. § 113A-72: Recodified as G.S. 143B-135.70 by Session Laws 2015-241, s. 14.30(f), effective July 1, 2015. § 113A-73: Recodified as G.S. 143B-135.72 by Session Laws 2015-241, s. 14.30(f), effective July 1, 2015. § 113A-74: Recodified as G.S. 143B-135.74 by Session Laws 2015-241, s. 14.30(f), effective July 1, 2015. § 113A-75: Recodified as G.S. 143B-135.76 by Session Laws 2015-241, s. 14.30(f), effective July 1, 2015. § 113A-77: Recodified as G.S. 143B-135.80 by Session Laws 2015-241, s. 14.30(f), effective July 1, 2015. §§ 113A-78 through 113A-82. Reserved for future codification purposes. Article 6 - North Carolina Trails System. § 113A-83: Recodified as G.S. 143B-135.90 by Session Laws 2015-241, s. 14.30(f), effective July 1, 2015. § 113A-84: Recodified as G.S. 143B-135.92 by Session Laws 2015-241, s. 14.30(f), effective July 1, 2015. § 113A-85: Recodified as G.S. 143B-135.94 by Session Laws 2015-241, s. 14.30(f), effective July 1, 2015. § 113A-86: Recodified as G.S. 143B-135.96 by Session Laws 2015-241, s. 14.30(f), effective July 1, 2015. § 113A-87: Recodified as G.S. 143B-135.98 by Session Laws 2015-241, s. 14.30(f), effective July 1, 2015. § 113A-87.1: Recodified as G.S. 143B-135.100 by Session Laws 2015-241, s. 14.30(f), effective July 1, 2015. § 113A-88: Recodified as G.S. 143B-135.102 by Session Laws 2015-241, s. 14.30(f), effective July 1, 2015. § 113A-89: Recodified as G.S. 143B-135.104 by Session Laws 2015-241, s. 14.30(f), effective July 1, 2015. § 113A-90: Recodified as G.S. 143B-135.106 by Session Laws 2015-241, s. 14.30(f), effective July 1, 2015. § 113A-91: Recodified as G.S. 143B-135.108 by Session Laws 2015-241, s. 14.30(f), effective July 1, 2015. § 113A-92: Recodified as G.S. 143B-135.110 by Session Laws 2015-241, s. 14.30(f), effective July 1, 2015. § 113A-92.1: Recodified as G.S. 143B-135.112 by Session Laws 2015-241, s. 14.30(f), effective July 1, 2015. § 113A-93: Recodified as G.S. 143B-135.114 by Session Laws 2015-241, s. 14.30(f), effective July 1, 2015. § 113A-94: Recodified as G.S. 143B-135.116 by Session Laws 2015-241, s. 14.30(f), effective July 1, 2015. § 113A-95: Recodified as G.S. 143B-135.118 by Session Laws 2015-241, s. 14.30(f), effective July 1, 2015. §§ 113A-96 through 113A-99. Reserved for future codification purposes. Article 7 - Coastal Area Management. § 113A-101. Cooperative State-local program. § 113A-102. Legislative findings and goals. § 113A-104. Coastal Resources Commission. § 113A-105. Coastal Resources Advisory Council. § 113A-106. Scope of planning processes. § 113A-106.1. Adoption of Coastal Habitat Protection Plans. § 113A-107. State guidelines for the coastal area. § 113A-108. Effect of State guidelines. § 113A-109: Repealed by Session Laws 2017-10, s. 3.8, effective May 4, 2017. § 113A-111. Effect of land-use plan. § 113A-113. Areas of environmental concern; in general. § 113A-114. Repealed by Session Laws 1983, c. 518, s. 2, effective June 13, 1983. § 113A-115. Designation of areas of environmental concern. § 113A-115.1. Limitations on erosion control structures. § 113A-116. Local government letter of intent. § 113A-117. Implementation and enforcement programs. § 113A-118.2. Development in Primary Nursery Areas and Outstanding Resource Waters areas of environmental concern. § 113A-119. Permit applications generally. § 113A-119.2. Review of offshore fossil fuel facilities. § 113A-120. Grant or denial of permits. § 113A-121. Permits for minor developments under expedited procedures. § 113A-121.1. Administrative review of permit decisions. § 113A-122. Procedures for hearings on permit decisions. § 113A-124. Additional powers and duties. § 113A-126. Injunctive relief and penalties. § 113A-127. Coordination with the federal government. § 113A-128. Protection of landowners' rights. § 113A-129: Reserved for future codification purposes. § 113A-129.1. Legislative Findings and Purposes. § 113A-129.2. Coastal Reserve Program. §§ 113A-130 through 113A-134. Reserved for future codification purposes. § 113A-134.2. Creation of program; administration; purpose; definitions. § 113A-134.3. Standards for public access program. §§ 113A-134.4 through 113A-134.9. Reserved for future codification purposes. Article 7B - Bogue Inlet Access Program. § 113A-134.10: Repealed by Session Laws 1991, c. 365. Article 7C - Beach Management Plan. § 113A-134.11. Department to compile and evaluate information. § 113A-134.12. Multiyear beach management and restoration strategy and plan. Article 8 - North Carolina Land Conservancy Corporation. §§ 113A-135 through 113A-149: Repealed by Session Laws 1983 (Regular Session 1984), c. 995, s. 4. Article 9 - Land Policy Act. § 113A-151. Findings, intent and purpose. § 113A-153: Repealed by Session Laws 2015-264, s. 15, effective October 1, 2015. § 113A-154. Repealed by Session Laws 1981, c. 881, s. 3. § 113A-155. State land policy. § 113A-156. State land classification system. § 113A-157. Repealed by Session Laws 1981, c. 881, s. 3. § 113A-158. Protection of rights. §§ 113A-160 through 113A-164. Reserved for future codification purposes. Article 9A - Nature Preserves Act. § 113A-164.1: Recodified as G.S. 143B-135.250 by Session Laws 2015-241, s. 14.30(k2), effective July 1, 2015. § 113A-164.2: Recodified as G.S. 143B-135.252 by Session Laws 2015-241, s. 14.30(k2), effective July 1, 2015. § 113A-164.3: Recodified as G.S. 143B-135.254 by Session Laws 2015-241, s. 14.30(k2), effective July 1, 2015. § 113A-164.4: Recodified as G.S. 143B-135.256 by Session Laws 2015-241, s. 14.30(k2), effective July 1, 2015. § 113A-164.5: Recodified as G.S. 143B-135.258 by Session Laws 2015-241, s. 14.30(k2), effective July 1, 2015. § 113A-164.6: Recodified as G.S. 143B-135.260 by Session Laws 2015-241, s. 14.30(k2), effective July 1, 2015. § 113A-164.7: Recodified as G.S. 143B-135.262 by Session Laws 2015-241, s. 14.30(k2), effective July 1, 2015. § 113A-164.8: Recodified as G.S. 143B-135.264 by Session Laws 2015-241, s. 14.30(k2), effective July 1, 2015. § 113A-164.9: Recodified as G.S. 143B-135.266 by Session Laws 2015-241, s. 14.30(k2), effective July 1, 2015. § 113A-164.10: Recodified as G.S. 143B-135.268 by Session Laws 2015-241, s. 14.30(k2), effective July 1, 2015. § 113A-164.11: Recodified as G.S. 143B-135.270 by Session Laws 2015-241, s. 14.30(k2), effective July 1, 2015. § 113A-164.12: Recodified as G.S. 143B-135.272 by Session Laws 2015-241, s. 14.30(k2), effective July 1, 2015. Article 10 - Control of Outdoor Advertising near the Blue Ridge Parkway. § 113A-165. Advertisements prohibited within 1,000 feet of centerline; exceptions. § 113A-168. Removal, etc., of unlawful advertising. § 113A-170. Violation a misdemeanor; injunctive relief. §§ 113A-171 through 113A-175. Reserved for future codification purposes. Article 11 - Forest Development Act. §§ 113A-176 through 113A-183: Recodified as Article 83 of Chapter 106, G.S. 106-1010 through G.S. 106-1018, by Session Laws 2011-145, s. 13.25(gg), effective July 1, 2011. § 113A-184: Reserved for future codification purposes. § 113A-185: Reserved for future codification purposes. § 113A-186: Reserved for future codification purposes. § 113A-187: Reserved for future codification purposes. § 113A-188: Reserved for future codification purposes. Article 12 - Primary Forest Product Assessment Act. §§ 113A-189 through 113A-196: Recodified as Article 84 of Chapter 106, G.S. 106-1025 through G.S. 106-1032, by Session Laws 2011-145, s. 13.25(ii), effective July 1, 2011. § 113A-197: Reserved for future codification purposes. § 113A-198: Reserved for future codification purposes. § 113A-199: Reserved for future codification purposes. § 113A-200: Reserved for future codification purposes. § 113A-201: Reserved for future codification purposes. Article 13 - Toxic Substances Task Force and Incident Response Procedures. §§ 113A-202 through 113A-204. Repealed by Session Laws 1979, 2nd Session, c. 1310, s. 3. Article 14 - Mountain Ridge Protection. § 113A-208. Regulation of mountain ridge construction by counties and cities. § 113A-209. Certain buildings prohibited. § 113A-210. Application to existing buildings. § 113A-211. Enforcement and penalties. § 113A-212. Assistance to counties and cities under ridge law. § 113A-213. Article is supplemental. § 113A-214. Choosing coverage or removal from coverage of this Article. §§ 113A-215 through 113A-219. Reserved for future codification purposes. Article 15 - Aquatic Weed Control. Article 16 - Conservation Easements Program. § 113A-230. Legislative findings; intent. § 113A-231. Program to accomplish conservation purposes. § 113A-232. Conservation Grant Fund. § 113A-233. Uses of a grant from the Conservation Grant Fund. § 113A-234. Administration of grants. §§ 113A-236 through 113A-239. Reserved for future codification purposes. Article 17 - Conservation, Farmland, And Open Space Protection And Coordination. § 113A-241. State to Preserve One Million Acres; Annual report. §§ 113A-242 through 113A-250. Reserved for future codification purposes. Article 18 - Clean Water Management Trust Fund. § 113A-251: Recodified as G.S. 143B-135.230 by Session Laws 2015-241, s. 14.30(k1), effective July 1, 2015. § 113A-252: Recodified as G.S. 143B-135.232 by Session Laws 2015-241, s. 14.30(k1), effective July 1, 2015. § 113A-253: Recodified as G.S. 143B-135.234 by Session Laws 2015-241, s. 14.30(k1), effective July 1, 2015. § 113A-253.1: Repealed by Session Laws 2011-145, s. 13.26(a), effective July 1, 2011. § 113A-253.2: Recodified as G.S. 143B-135.236 by Session Laws 2015-241, s. 14.30(k1), effective July 1, 2015. § 113A-254: Recodified as G.S. 143B-135.238 by Session Laws 2015-241, s. 14.30(k1), effective July 1, 2015. § 113A-255: Recodified as G.S. 143B-135.240 by Session Laws 2015-241, s. 14.30(k1), effective July 1, 2015. § 113A-256: Recodified as G.S. 143B-135.242 by Session Laws 2015-241, s. 14.30(k1), effective July 1, 2015. § 113A-257: Recodified as G.S. 143B-135.244 by Session Laws 2015-241, s. 14.30(k1), effective July 1, 2015. § 113A-258: Recodified as G.S. 143B-135.246 by Session Laws 2015-241, s. 14.30(k1), effective July 1, 2015. § 113A-259: Recodified as G.S. 143B-135.248 by Session Laws 2015-241, s. 14.30(k1), effective July 1, 2015.